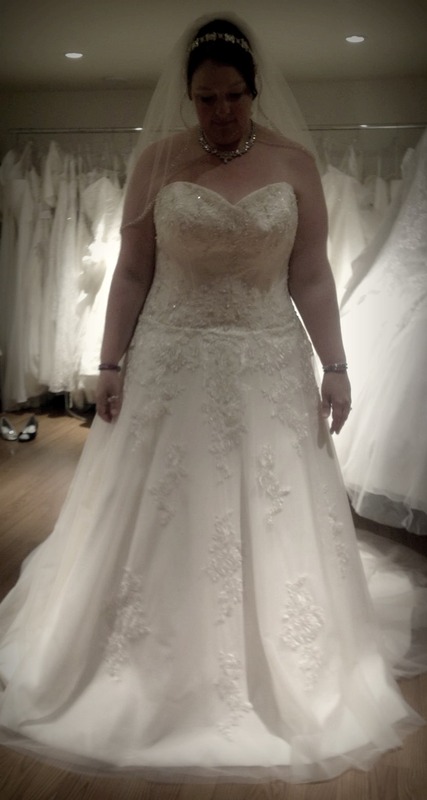 I was more than a little late looking for a dress, starting just 4 months before the wedding. I only went to two places – David’s Bridal, and Sheila’s. David’s was fine and the salesgirl really tried to help, but being plus size there wasn’t much int he way of options to try on. However, when I got to Sheila’s, there was such a great selection and I knew that I could try on any one that I wanted to. The dress I chose ended up being the second one Sheila suggested! I was thrilled that I not only had a dress, but that I had a dress I had a WAIST in! I’m a full-on apple-shaped sized 22 and was dreading dress shopping, but Sheila made it easy and enjoyable and I’m grateful for her help and her business! I would suggest Sheila for any plus-size bride! Previous post One of a kind!